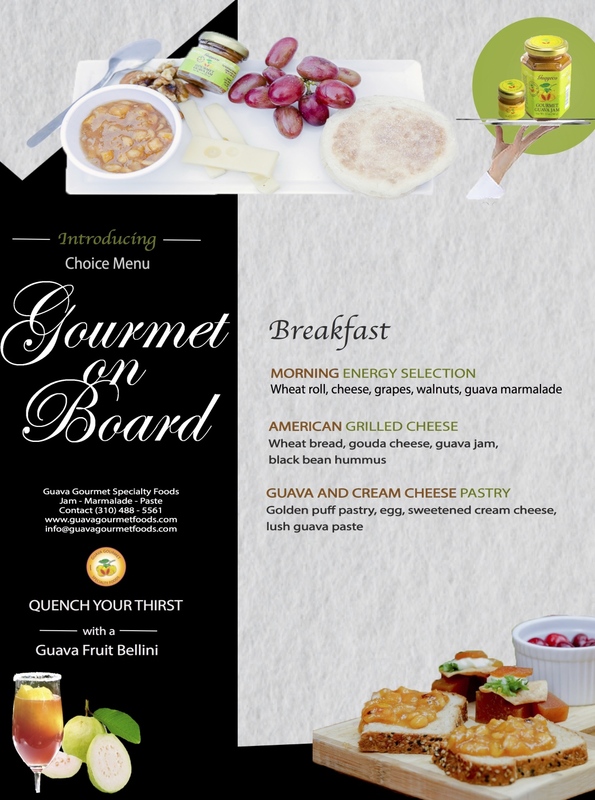 Even with airline regulations, you can now enjoy your favorite Guava Gourmet Snacks anywhere! Introducing our Choice Flight Menu. Our Gourmet Guava comes in .02 ounces of Guava Jam and Marmalade, perfect for "on the go"
or up in the air!